The Board of Directors of TIM met today chaired by Arnaud de Puyfontaine and - in agreement with the proposal made by the Nomination and Remuneration Committee – unanimously proceeded to co-opt Amos Genish onto the board, and to appoint him Chief Executive Officer, conferring executive powers on him. “We have a clear long-term vision: to return TIM to its rightful splendour, making a crucial contribution to the digitalisation of the Country, the creation of Digital Italy, through investment and people. TIM must have a constructive collaboration with the institutions and regulators: creating value for TIM means creating value for the Country”, commented Executive Chairman Arnaud de Puyfontaine. 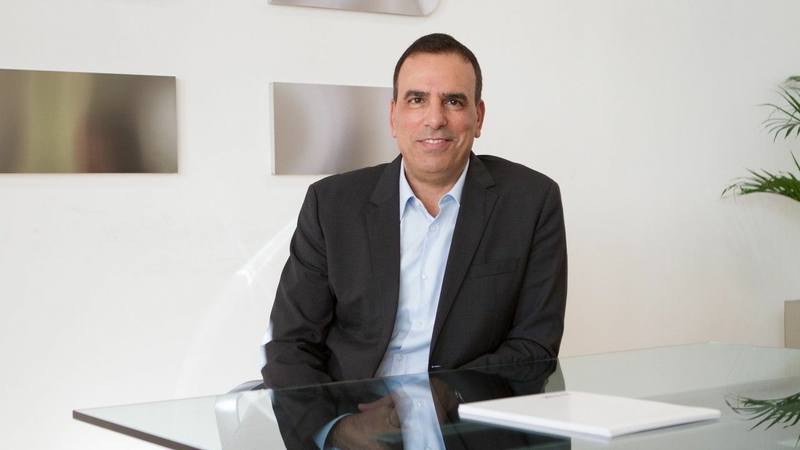 “It is a privilege and an honour to have been appointed Chief Executive Officer of TIM, a company that has a great history and a bright future ahead of it”, added Amos Genish. “We’ll continue transform TIM to be a truly Digital telco. Our DigiTIM program is based on some key fundamentals which are mostly focusing on providing superior customer experience, leveraging digitalisation to enhance the interface with our clients; smart analytics through big data to personalize our products and services; and adding video and multimedia on top of our best in class connectivity for a convergent offer, while continuing investing in our ultra-broadband coverage to support the evolution to the Gigabit Society”. With a majority vote the new governance arrangements have been defined. representation of the Company and the Group in its external relations with public authorities, institutions and investors. The responsibility of Brand Strategy & Media is transferred from the Executive Chair to the CEO. Executive Deputy Chairman Giuseppe Recchi will have deputy functions, as well as organisational responsibility for the Security Department, responsible, among other things, for overseeing all activities and assets that are relevant for security and national defence purposes inside TIM and the other Italian companies in the Group (in particular: TI Sparkle S.p.A. and Telsy S.p.A.). Giuseppe Recchi was today also appointed Chairman of the Strategic Committee. responsibility for defining the policies and all organisational responsibilities to guarantee the management and development of the business in Italy and in South America. Amos Genish has developed extensive experience in the field of telecommunications and technology in both the United States and Brazil, where he co-founded GVT making it the principal ultrabroadband company in Brazil in just a few years. Until the end of 2016, Genish was CEO of Telefonica Brasil / Vivo, the principal integrated telecommunications operator in the country with over 90 million customers and an offer that includes fixed and mobile telephony, services and entertainment. From January to July 2017 he held the position of Chief Convergence Officer of Vivendi, with responsibility for developing the Group’s strategy for the convergence of content, platforms and distribution. The curriculum vitae of Amos Genish is available on the Company's website at http://www.telecomitalia.com/Amos-Genish-eng. Genish qualifies as a non-independent executive director; as of today, he owns no shares in Telecom Italia S.p.A.. The Board of Directors approved, with a majority vote, the principle of the creation of a joint venture with Canal+, intended to enable a major acceleration of the plans for telecoms-media convergence. Thanks to the joint venture (which will be regulated by terms and conditions under negotiation, starting from a non-binding terms sheet already signed by the parties), the Group will have access to the experience and content of one of the most important production and rights companies in the world. The joint venture will focus on productions and co-productions, both Italian and international, and on the acquisition of rights, including sports rights. The transaction constitutes a transaction with a related party (since Canal+ is a subsidiary of Vivendi S.A., which Consob has qualified as the de facto controller of TIM) and the Control and Risk Committee (by majority vote) opined positively on it considering the present status of the initiative (and has reserved the right to review it again as the negotiations proceed), based on the assumption that it is a transaction of lesser importance, pursuant to the applicable Consob Regulation. The Board of Directors will discuss it again for its conclusive approval, in accordance with the appropriate procedure and therefore also after having obtained a further opinion on the final terms of the agreement as soon as they have been defined in the negotiations. The Board of Directors has also updated the company procedure for performing transactions with related parties, to take account of the ruling with which Consob deemed the Company subject to de facto control by Vivendi. The new version of the document is being published on the website www.telecomitalia.com.